A secluded green island, blue water till the horizon, a small boat and a couple engaged in a romantic chase :-). 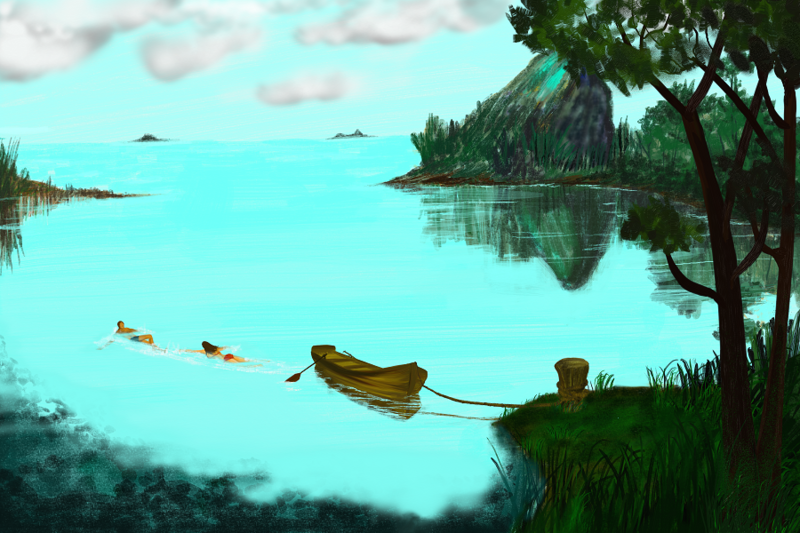 Created in ArtRage Studio Pro using Intuos 4. Total time = 5 hours.